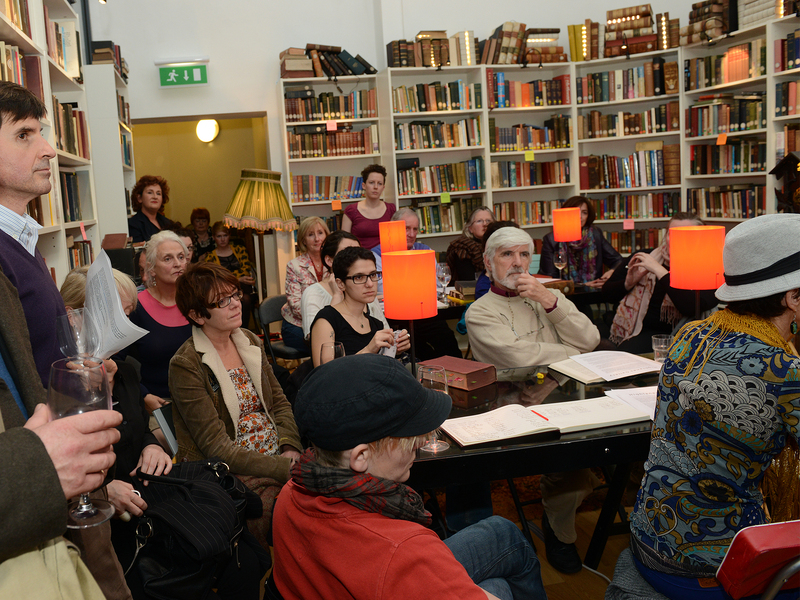 On Friday the 5th of October we held a talk in The Library about the projects history so far. The talk was very well attended and there was a lot of questions from the audience. It was one of the first times I became aware of how much the project could mean to the public. In casual conversation with other art practioners there was often the belief that I may have taken on something potentially useless and/or antiquated. The response from the public began to show a very real interest in the heritage of the collection. Sometimes this concern for preservation went to the extreme and there was expressions to the effect that the books might better be kept in a more stable and controlled environment, away from the touches of (artists and the publics) grubby hands. Of course with a traveling library this isn’t possible, or probably even necessary. The librarian at Dublins Marshes Library (the countries oldest) told me she encourages the public to handle their ancient tomes without gloves, bare handed, since the older books (pre 1900’s) are actually made of sturdier stuff than those made by contemporary processes. In any case, nothing, not even a library, lasts forever.